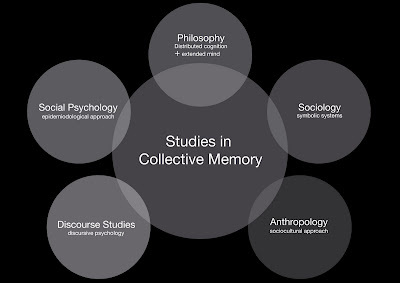 The following schema provides a clear picture of the main approaches to collective memory studies, so far. I believe that there will be many more, so if you are working with some approach which it is not shown in the schema, please let me know. Very interesting scheme. Thank you! As for additional approaches, than, perhaps, I would mention history - and, especially, social history. For example, Nora's works, in my opinion, are rather close to this branch of science.